Finding a great vape shop shouldn’t a hassle, we’ve already taken the guesswork out of it. Our online portal is easy to use. In addition, our vapor store locator and will find all the best vape shops around you instantly. That way, you can satisfy your exact needs. Simply type in your address or area code, or click on the map. As a result, you won’t need to drive across town or trekking through malls get to a store. Also, to find out that the store doesn’t offer what you need right now. Not sure which vaporizer or electronic cigarette to buy? Take a peek at our online guides, check out community reviews and claim your discount (on us!). Have you ever found yourself looking for a great vape store? Do you want to check out different vaporizers, e-liquids, e-cigs, and accessories? Wondering where are the best vape shops near you? Like most other vapers, I’ve also been here, and it’s super frustrating! This is exactly the problem I faced when I first started vaping, and that’s why this online vape store locator is here. We will help you get to the place you want. The vaping industry isn’t mainstream just yet. As a result, most vaporizer stores are still small operations. Therefore, they are just getting started. And getting the word out there is a challenge for all small businesses. Even if you offer expert service and great products, it doesn’t mean customers are going to know about it right away. Chances are there’s a good vape store right around the corner from you, and you don’t even know it! Or maybe you could find a perfect vape in a smoke shop or a head shop! 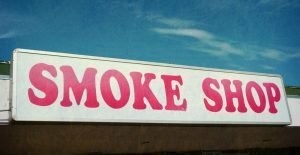 What is a Smoke Shop? A smoke shop sells mostly tobacco-related products like cigarettes, cigars, tobacco, rolling paper, lighters, pipes, ashtrays, etc. Many smoke stores are trying to keep up with latest trends, so it’s common to see quite a wide choice of vape devices in there. If you need a couple of spare parts or a totally new vape, you don’t have to fiddle around looking for a vapor store that’s got exactly what you need. Instead, you can use our “smoke store near me” locator for finding what you need quick and easy. It’s convenient as long as you don’t have to look specifically for a vapor shop near you when some smoke shop has got the vape product that you’re looking for. In other words, the collocation “head shop” means “a shop for heads”. And the slang expression “head” history goes back to America’s hippie subculture of 1960-s. This word was commonly related to a person that dropped out of the mainstream culture mainly because of smoking marijuana or taking other drugs. In the mid-sixties, head stores began to open all across the USA. They were selling cannabis herbs, oils, waxes, as well as other products for using it (bongs, bowls, etc. ), sometimes along with underground newspapers, tattoo supplies, subculture T-shirts, and stuff like that. Just ten years after the first head shop opening in San-Francisco, possessing more than an ounce of dry herbs became illegal. Since then, marijuana consumption for medical and recreational purposes was fully or partially prohibited in most of the states. But in the states like California, Washington, Alaska, Colorado, Maine, Massachusetts, Nevada, Oregon the consumption, possession, and selling of certain cannabis products in head shops remains legal. Sometimes a head shop turns into a tobacco shop. You can also find the sign “head shop” where they don’t sell drugs, only dry herb vaporizers, dab wax pens, cannabis subculture accessories, and so on. Why Use an Online Vape Store Locator? When you bought your first vape, you probably tried it out first before ponying up the cash. I had to be sure it was the perfect vaporizer, and I’m glad I did before I bought the best one from their special offers. Ordering a vaporizer online is the easy part. However, there’s nothing quite like holding it in your hand or trying it out before you commit. Remember, you want that perfect pocket companion. Fair enough, Google can find everything you need. On the other hand, when I Googled “vaporizer stores near me” I found a couple. But, they were so far that it wasn’t worth the drive. Guess what, there was a store only two blocks from my apartment. Your local gas station or convenience store probably sells vapes. The ones you use for a week before the real thing. Our online directory of vaporizer stores from the vape shop locator currently features over 300 stores. Moreover, it’s growing every day. This site makes finding e-cigs, vaporizers, e-liquids and cool gadgets easier than any other method. Even though, sometimes you just don’t have enough time to go to a walk-in store. Let’s take a quick look at benefits of buying vape products in online vapor shops. It’s confidential. When buying online, you can be sure that your girlfriend’s mom, your boss or a family friend won’t know that you were interested, for example, in an e-Nail vaporizer. It’s easier to find the best price. You will spend only a few minutes to see which online retailer offers the lowest price and best shipping conditions. On the other hand, you could spend hours driving from one vapor shop to another, comparing the costs and the variety of vape devices they’ve got. Not to mention the money and time that you’ll spend on transportation. It’s cheaper. Physical shops have to pay for rent, electricity bills and all kinds of taxes, that’s why their vapes can be pricier than online. It’s more personal and smart. Sitting by your laptop, you have enough time to look carefully through each device’s specs, to compare, to watch reviews and make the best decision. While in a typical vapor store it’s most likely that you will be able to buy only what salesman will offer. The variety of choice. Online you have instant access to tons of different box mods, e-juices, vape tanks and many more. In the local shop, however, you’ll be left with much less. 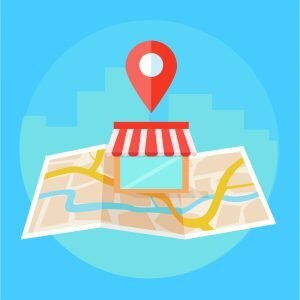 How Does the Online Vape Shop Locator Work? The easiest way is to hit the blue navigation button, that’ll take you to all the stores in your immediate vicinity. Our vapor store locator has the geolocation feature built right into it. Give it a try, type in your area code right now or click on the blue crosshair. Then, it will bring up the closest vape store in your location. Come on, don’t be shy, give it a try. Just a note: Certain browsers have an app permission check which won’t share your location until you give it the ‘ok.’ Just click on the “Share your device’s location” button, and you’re all set to get vaping today. Leaving the town doesn’t mean you have to be stuck with a bad quality e-liquid from their local convenience store. Or worse yet, burning your last atomizer and having no supplies at all. And maybe you’re getting your older cousin into vaping but he’s not clued up on using the internet. The online vape shop locator takes the work out it. Simply use the search bar to find the desired location. Here, you simply use the area code or just type out your address. Then, the search will return all the stores in the specific area. This feature makes Google Maps terrific to use when you’re driving. When you’ve found the closest or best shop, hit the Get Directions button. After that, Google Maps will open, and automatically plots the most direct route. Meanwhile, you will be avoiding traffic, which is a huge plus if you’re in a city. Got a Great Vape Store? Add it to Our Database! Did you just find a great store that you’d like to share with the vaping community? Contact us and we’ll list it on the vape shop locator pronto. Otherwise, if you own a vape store and want to get your name out there, get in touch with us. We’ll be happy help you take your business to the next level with the vape shop locator. The purpose of this site is to make vaping available to everyone. This means more convenient and more useful experience than trying to Google it and coming up short. The vaping community is already helping us build the ultimate portal. In fact, they are adding more great stores daily. In addition to the vapor store locator, you will love the future developments for our online portal. They include being able to add a shop directly or review their products. We’d love to hear from you, get in touch help build the community. Asking questions are genuinely pleasant thing if you are not understanding anything completely, however this post presents pleasant understanding even. Two of my doctors have recommended CBD oil. I’ve been vaping it for about 2 years now. Great for stress and anxiety. I don’t really get any of my pain relieved. I probably need a stronger oil, but it’s so expensive, it’s not an option. Hoping the dispensaries will open soon so Ican get some real pain relief. I am looking for a licensed hemp oil store. Hi, I’ve just started smoking Vapes. Now a friend tells me you can smoke dope Vapes too. I am really interested in learning more, but kind of shy. Can ennyone show me theirs setups? I need to get to vapes to start. Very limiled funds till pay day. I live in Huntington Ar. Everyone really cost found them online for 5.99 a piece dont want to wait for shipping. Thats a kit. I am looking for a vape store near me. I need help with sleep.